Today I am going to discuss and review for another PHP script which is called VideoTube. 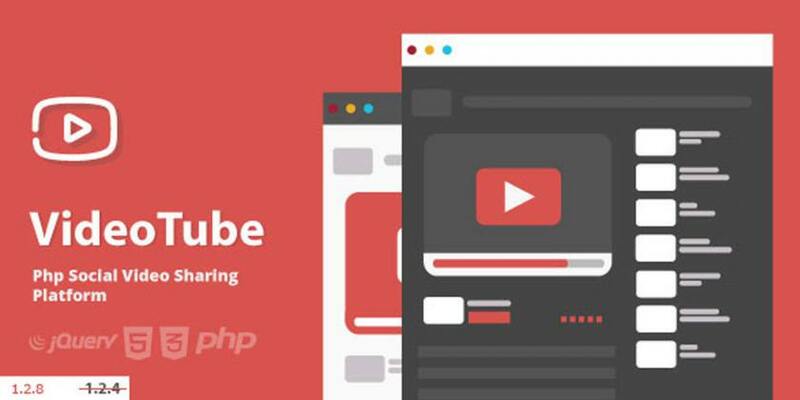 This is a video sharing PHP script that allows people to create video blogs and platforms that is something like YouTube, Vimeo, Dailymotion. Obviously, with video uploading features it is also possible to add the video link from external video links. You can easily embed or import videos from YouTube or Vimeo.It just needed to simply copy the video link and paste it inside your VideoTube script. From the admin panel, you can easily select which source will be allowed on the script. VideoTube CMS is not only a PHP script to upload video, but it can be also used to start a social networking platform. Users on this platform will be able to share their status and video content. It will be visible on the timeline of the user as well as on news feed. Other users also can repost the post of a user just like you can see the retweet system. The design is made in such a way so that it will also be mobile friendly. Not only this but also the script will look so attractive and eye-catching on mobile devices. The VideoTube CMS PHP script automatically detects mobile devices when a user come using his/her mobile device or desktop. Just like WordPress, here on VideoTube script, you can choose any theme or can create your own custom theme. This PHP script has the features of letting you give the opportunity of creating your own theme for VideoTube. That’s why this script also can be called as a CMS software. In core, there is an inbuilt feature which let you choose a video as featured video from the admin dashboard panel. VideoTube CMS has the feature to let users pay through PayPal and promote their videos as featured video post in news feed. To do it, you have to use the PayPal ads manager extension for this CMS script. This extension is included in the download file of this script. The PayPal ads manager will give the users the ability to promote their video post by paying through PayPal. It is something like promoting videos on YouTube or promoting posts like Facebook. This feature will let you earn money from your VideoTube CMS application. So what are you thinking about this script? Do you need it? If you want this script then it is available in very cheap price from here.